Joanne Grassi, 81, of Fort Scott, passed away Wednesday morning, July 25, 2018, at Guest Home Estates. She was born May 3, 1937, in Kansas City, Missouri, the daughter of Louis and Verna Rose (Carroll) Grassi. Joanne worked for many years in housekeeping for the Sisters of Mercy Convent, and she was a Past Matron, Order of the Eastern Star. Her hobbies included crocheting, arts and crafts, reading, and jewelry-making. Joanne is survived by a nephew, Alex Grassi, Jr.; her friend and conservator, Ida Ford, as well as her friends from the Highrise and her years working at the convent. She was preceded in death by her parents, her brother, Alex Grassi, and her sister-in-law, Avadell Grassi. Rev. Oliver “Bill” Hawk will conduct graveside services at 10:30 a.m. Monday, July 30, 2018, at the Hume Cemetery in Hume, Missouri, under the direction of the Konantz-Cheney Funeral Home. Friends will meet at 9:30 a.m. at the funeral home for a visitation until time to leave for the cemetery. Memorial contributions may be made to the Highrise Activity Fund, and left in the care of the Konantz-Cheney Funeral Home, 15 W. Wall Street, PO Box 309, Fort Scott, KS 66701. 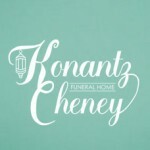 Condolences may be submitted to the online guestbook at konantz-cheney.com.